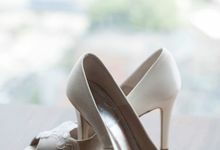 Established in 2008, White Label loves and strike to bring inspiring designs for the wedding occasion and such. 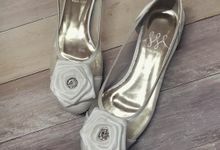 We have a wide range of Ready-made wedding shoes collections ranging from flatties to super high heels, all are finely crafted and compromise on comfort and style. 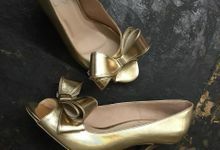 Same goes to our Custom-made shoes, which are exclusively made to match your preference, idea or theme. Size US 3-9.